Panasonic has announced the successor to the acclaimed LUMIX TZ-Series – LUMIX DMC-ZS3 and DMC-ZS1 digital cameras (New LUMIX ZS-Series), which feature 10.1 megapixel effective resolution, 25mm ultra-wide angle LEICA DC VARIO-ELMAR lens, impressive 12x powerful optical zoom, Venus Engine HD processor as well as Mega Optical Image Stabilization (O.I.S.). The new LUMIX ZS3 which incorporates 3-inch TFT LCD display is the world’s first digital camera to feature AVCHD Lite HD video recording capability, allowing longer recordings with breathtaking HD visual and audio quality (compared with Motion JPEG format). The differentiate between ZS3 and ZS1 is an 2.7-inch Intelligent LCD screen and standard iA mode (without Face Detection) for still image recording. 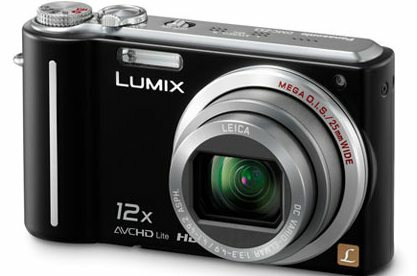 The new Panasonic LUMIX DMC-ZS3 and LUMIX DMC-ZS1 ultimate compact and powerful digital cameras will be available in coming April 2009 for about $400 and $300, respectively.